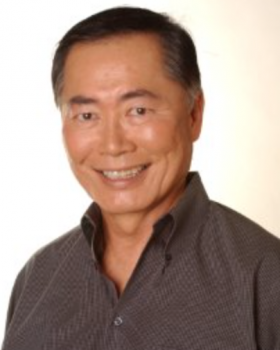 Legendary American actor, best known for roles in the original STAR TREK series and first 6 feature films as Sulu, and more recently US TV series HEROES and feature film LARRY CROWNE with Tom Hanks. His own musical based on his childhood, where he lived in a World War 2 internment camp in Japan, ALLEGIENCE is to play Broadway this Autumn in which he will star opposite Lea Salonga. It will mark George's Broadway debut.